Flat Roofing Our Flat Roofing is expertly installed by our highly skilled and vastly experienced roofers, our flat roofing is incredibly adaptable and flexible and highly resistant to UV radiation, meaning a long lasting and aesthetically pleasing new roof for your property. 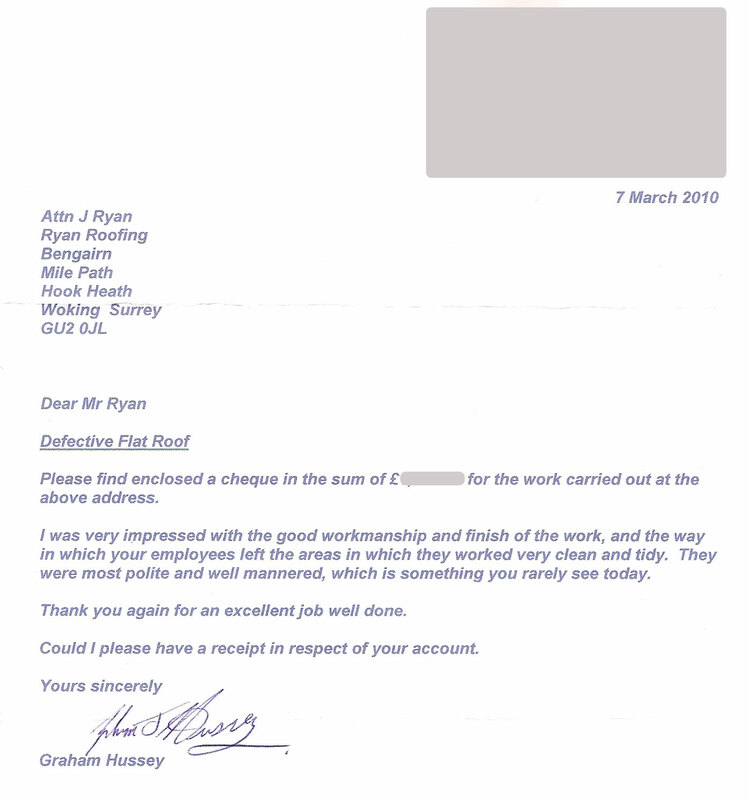 Roof Tiling & Slating Ryan Roofing are part of Competent Roofer which is the government-licensed competent person scheme that allows professional roofing contractors to self-certify their roof refurbishment work complies with building regulations within England Wales . Roof Line The upkeep of any building can be costly and in many cases unavoidable. But one thing that is crucial to preventing damage to your property is good gutter maintenance. Site Surveys We can reach the most difficult areas of the roof. Using Airocamsaves on labour –no ladders, no extra hands required. And on more challenging inspections/surveys there’s no need to erect scaffolding or to bring in the cherry pickers. 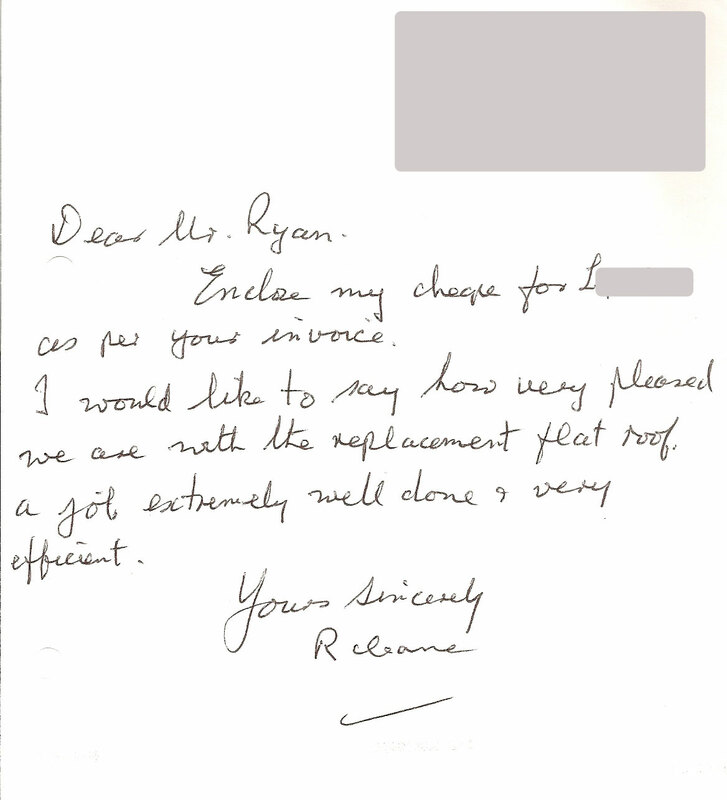 Just to say we are very pleased with the re-roofing work carried out by your two men. They worked very hard especially in the hot weather we had during the work. Its a first class job.. I would like to say how very pleased we are with the replacement flat roof. I enclose payment as per your invoice. 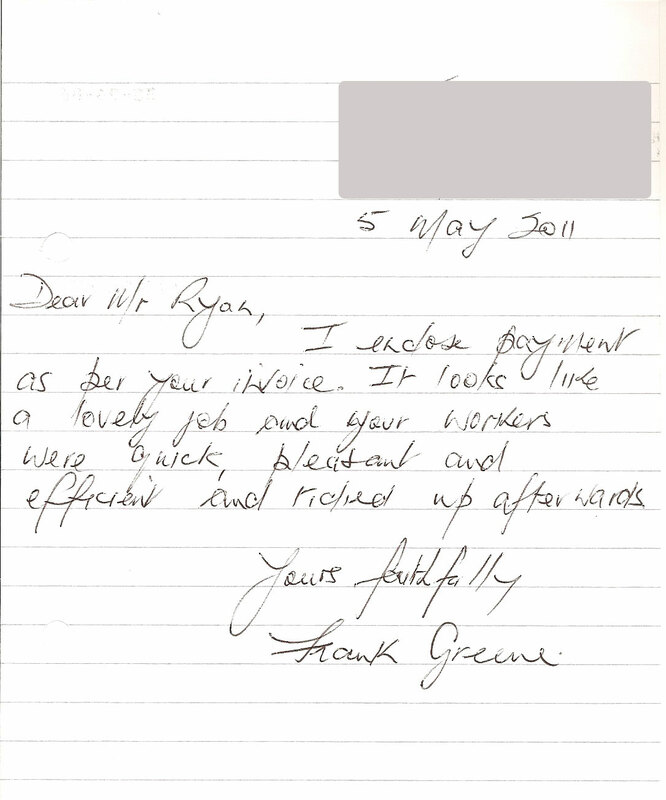 I was very impressed with the good workmanship and finish or the work, and the way in which your employees left the area in which they worked very clean and tidy. They were most polite and well mannered, which is something you rarely see today.